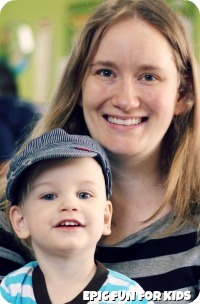 Creator and owner of Epic Fun for Kids and Play Trains! Epic Fun for Kids is a new YouTube channel and blog from the family behind Play Trains!, where we’ve been posting about epic fun with trains for a year and a half. For us, an “epic” experience for children — whether it be an activity, a craft, a book, or something else — is anything puts a big, happy exclamation point into the sound of their voice, the light of their eyes, the beat of their heart. While we sometimes go all out on activities — we love to work on creative projects together! — epic fun can be simple, too! We hope that you’ll find something to get your whole family or class excited about playing and learning together.